Cedarcrest Marysville Homes for Sale | See Cedarcrest Homes! Cedarcrest Marysville homes for sale can be viewed on this page. And, you can see details of Cedarcrest properties with their property features when you click on the home for sale. Also, the listings include all price ranges of homes in Cedarcrest. Most of all, as your Marysville realtor, I will work with you and show you only homes that meet your criteria. I want to find the best home for you! In addition, you can search for other available homes in Marysville by clicking on Marysville ﻿Homes for Sale. An unlikely pair of gentlemen from an unlikely place gave the citizens of Snohomish County, Washington its first public golf course in 1929. 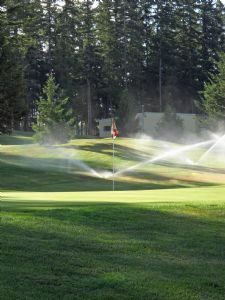 Roy C. Sargent, former mayor of Aberdeen, Washington, and Roy H. Dobell, former professor of architecture while at Oregon Agricultural College in Corvallis, Oregon, formed a partnership to build a golf course on farm lands near Marysville. Initially called the Hillcrest Golf and Country Club, it would later become the Cedarcrest Golf Course. Work on constructing an 18-hole golf course began immediately, and in a few short months, the Hillcrest Golf and Country Club opened for play using temporary greens. The official opening date was June 1, 1929 when the permanent greens were readied. Marysville. A private nine-hole course named the Edgewater Golf and Country Club, located on Smith Island just across the Snohomish River from where Legion Memorial Golf Course now sits, opened mere two weeks later on June 15, 1929. Yet another nine-hole course, called Quil Ceda Golf Course, just five miles north of Marysville, opened about the same time. The Hillcrest course was rudimentary to be sure. “Short, but sporty” at 4700 yards, the course proved to be a popular among the Marysville and Everett populace. Green fees were set at 50 cents for all day weekdays, and $1 on weekends. Golf Course, both of which had disappeared by 1936.
producing one of the finest golfers in the history of the Pacific Northwest. Anne Quast (Sander), born in 1937, described her first set as three cut-down hickory-shafted clubs in a plaid bag she received from a family friend at the age of three. Amateur champion. She was also an eight-time Curtis Cup player. A truly remarkable record. 1997, the course underwent a major redesign under the direction of John Steidel, a noted golf architect. Many of the holes have been rerouted and changed, but a few still remain as they were in the early years.